It can be incredibly frustrating to find a great ADSL2+ plan, call up to get it, and then get loaded down by a whole new bunch of costs: connection fees and modem costs and sometimes months of fees in advance, making your $50 a month plan suddenly nearly $300 just to get connected. On top of that, it's going to take at least ten working days, and you want your house to be connected now. Something that seemed simple and inexpensive in the brightly coloured billboard you saw is now suddenly a lengthy, expensive process. 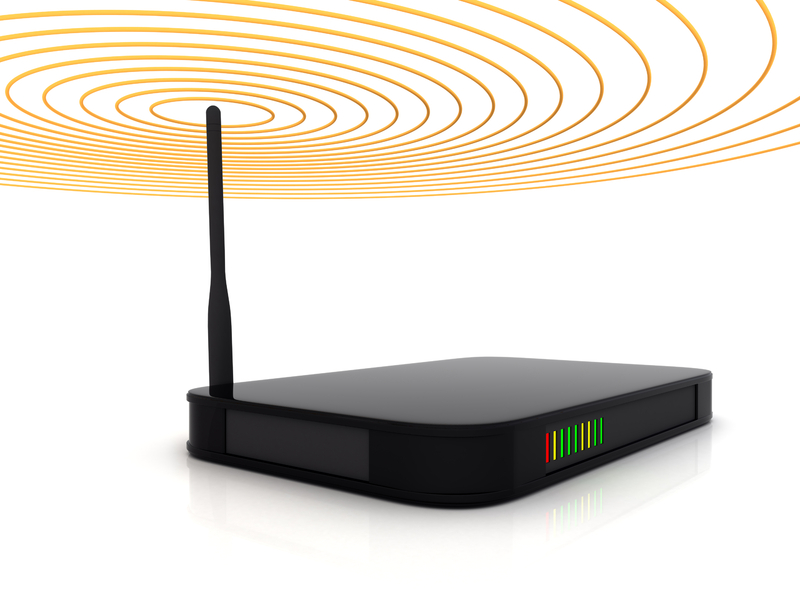 Click here for the best Home WiFi Plans. In this guide to setting up an ADSL2+ connection, we'll look at exactly that – the problems that come up in a connection, the extra fees you might be forced to face and when to know when a connection fee is fair, as opposed to when you should look for another provider. For the sake of dealing with the main issues, we'll pretend that everything else in your hypothetical connection is going ahead smoothly, and that you haven't run into any technological issues, that the phone line is connected to your house even if it isn't currently active, that the plans are available in your area and that you're not on any tricky bits of infrastructure. Click here for a more thorough guide to setting up a broadband connection and some of the technological pitfalls that might beset you along the way. We've talked about the initial frustration and sense of unfairness that you might get when a provider tells you about all the costs involved in setting up a connection. However, if we go through them piece by piece, you might begin to see that in fact, these are costs that have to be paid, by either you or the provider. It's a common misconception that providers make buckets of money off their subscribers – in fact, it takes about three months of regular fees along with your initial set-up fees for a provider like TPG just to break even with the cost of setting up your connection. If you started on a six month contract, that might mean that the total profit they could conceivably get from you as a customer is $150 – barely a drop in the ocean for a big company! Generally you'll be paying two main fees when it comes to setting up your internet. The first is a connection or set-up fee. This is generally quite expensive, ranging anywhere from $50 to $130, depending upon the provider you're signing up with and the type of connection you're getting. It's generally cheaper to get ADSL2+ connected when you already have a home phone you're happy to keep with the current provider, but as a result you'll be paying two separate companies each month, and charges will often be higher than they would be for a standard bundle plan. You might be wondering why you have to pay a connection fee. You've heard of providers waiving them, you're happy to give them your business, why are they making you pay $100 upfront? Surely this is just providers being greedy? Well, no. In fact, providers who waive fees are doing you a favour to attract your support and your business – you're not doing them a favour by paying the fees they need to provide you with a service! Connection fees cover a very important service. It's not just a matter of a robot tapping up a button in order to be able to connect your house to the internet. The complex mess inside a telephone exchange. In fact, creating a broadband connection is difficult work, done by trained technicians. 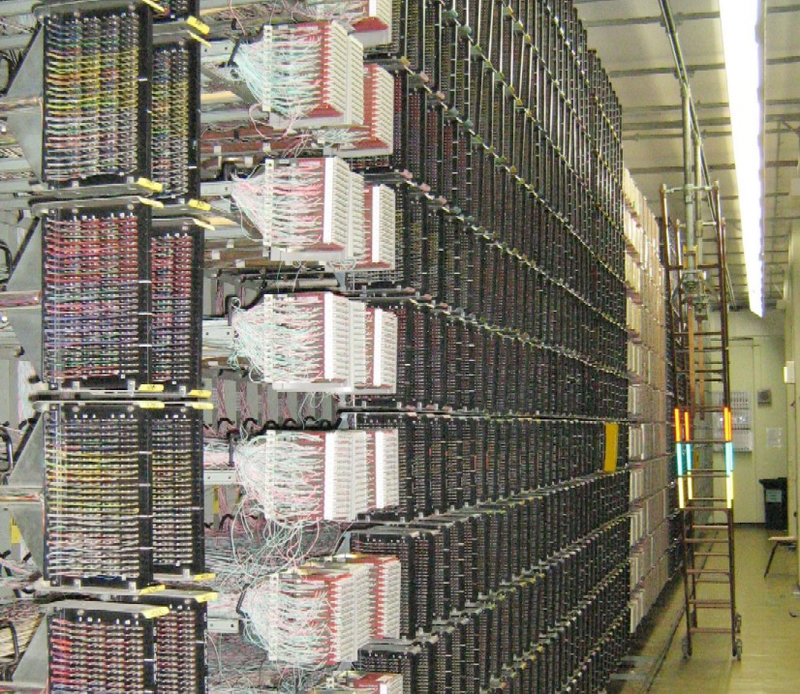 A telephone exchange is full of wires, and yours have to be located in the mess and switched as carefully as possible. We won't go into a long-winded technical discussion, but the connection fees are there for a reason; it's a tricky and expensive business, to get a broadband connection up and running, and one that involves manual labour and can't just be done robotically. This is also the reason behind the ten working days wait time. The fact that it requires manual labour and that hundreds of people across the nation sign up for ADSL2+ every day means that you're being put on a wait list. The time is also necessary so that the provider can conduct further tests upon your line to make sure that there's no infrastructure or flawed technology that will block an internet connection from going ahead – and this is why if there is something wrong with your line, your wait time for the connection may stretch beyond ten working days. The ten working days is frustrating, but unavoidable. If you really can't live without the internet for that period of time, we recommend that you find a temporary mobile broadband connection that you can use while you wait for your fixed line connection to be set up. Click here for a more in depth guide to how long it will take to get your internet connected. A final cost you might be asked to cover is the cost of the modem. "Hang on a moment!" you might cry, outraged. "Surely that's covered by the connection fee?" Unfortunately not. The connection fee covers the important procedure detailed above, and the modem is another expensive piece of hardware that is ultimately absolutely necessary for your connection. Think of it this way: if your internet connection is the pipe, the modem is the tap. Without it, you simply won't be able to access the internet. We'll talk more about modems and how much you should be willing to pay for one below, but for now, let me point out that the average cost of a WiFi modem is around $100. Sometimes it gets up to $150 or $160 – sometimes you might find an older (but still adequate) model selling for $70. Anything around those prices are fine for providers to offer you, and not a sign that they're ripping you off. Okay, but do I have to pay for them? In the end, yes, you are going to end up paying the full cost of all of those fees – the connection and the modem. However, you can choose how you are going to pay them. This is by making compromises, a thing that companies are often willing to do. For example, Dodo (1300 136 793) will give you a free modem and free set-up if you sign up with them on a 24 month contract. This makes a lot of sense – Dodo are a budget provider, and you could be paying as little as $40 or $50 a month for your broadband and home phone connection, but if they know that they'll be getting your monthly bills for the next two years, they're happy to waive the connection fee and cost of a modem. Those prices will be paid back to them eventually – it'll just take a little longer to do it. It costs more money for a provider to set up a new connection with a new customer than to keep an old customer on the same connection, so naturally, providers want you to stick with them for as long as possible. Optus are also happy to give you a free modem (or free modem delivery) and free set up on a lot of their 24 month contracts. Or you could look into their current special offer, where if you sign up for a Home Advantage Phone plan, they give you a free 50GB of broadband per month, with free set-up and a free modem. The phone is on a 24 month contract, but the broadband is not. Call Optus on 1300 137 897. It might be that a 24 month plan simply doesn't suit you, though, whether because you have a lease that will end before that time, because you're planning on moving or travelling, or even just because you don't like being locked into one company for two years. Luckily, the telecommunications industry has responded to customer demands for shorter contracts; unluckily, the likelihood of getting your connection and modem costs waived is much smaller. This makes sense, logically. The provider knows that they have no guarantee of you sticking around once your contract is up, and they want to make a profit. If you're only going to be there for six months, a provider who offers those kinds of contracts, like TPG, are not going to offer you any discounts on your modem or connection fee. What you're getting instead are low monthly prices (TPG offers an Unlimited ADSL2+ and Home Phone Bundle for just $59.9 per month) and a flexible contract. You can call us for more information about TPG or to sign up today on 1300 106 571. If you're after Naked Broadband (an ADSL2+ connection without the home phone), you could try MyNetFone. They offer free modem and a free set-up on their twelve month plans for the MyNetFone Economy 200B Naked Broadband Plan and higher – a very generous offer that you'll have trouble seeing equalled elsewhere! Call MyNetFone for more information or to sign up today on 1300 106 571. Basically, you have to make a choice about when you'd like to pay for the total cost of your broadband connection, including the set-up fees and modem. If you plan to stay with your current provider for a long time and would rather not pay a lot of money upfront, then going on a 24 month contract with a provider like Optus or Dodo is a good way to save on those initial high costs, though the long period of time you'll be paying them a bill means that eventually, you will pay the cost of those fees. However, if you baulk at the idea of having to sign up with any one company for two whole years, and value flexibility and control over your contract and your plan, someone like TPG or MyNetFone is a better choice. MyNetFone are great with that offer of free set-up and a free modem on only a 12 month contract, but the sacrifice here is a home phone. If you need a home phone, even only for the security of having a landline that relatives can call or that you can use in an emergency, go with TPG and be prepared for an expensive set-up process. There is an alternative to buying your modem through your provider. If your provider is not offering a free modem, keep in mind that you can either use an old modem you have from a previous connection – any ADSL2+ modem should work fine, though if it's very old it may slow down your connection somewhat – or purchase a new modem through some other retailer. As we've already mentioned, buying a modem through an electronics store generally fits the same price range (or is more expensive!) than the prices a provider will offer you. You're going to be looking at $80 to $130, essentially. However, walking into a retail store there is always the chance that you will find something on special. You could also look online, where there are online discount retailers or even sites like Ebay, where you might be able to find a modem at a cheaper price. The only real disadvantage to getting a modem by your own means rather than through your provider is that it won't come preconfigured. However, configuring a modem is not particularly hard work, and you can call your provider's tech support department and get them to walk you through it. I hope this had made things clearer! If you have any further questions, feel free to call us on 1300 106 571 and we'll be able to help you find the best connection for you, and answer any questions you may have along the way.